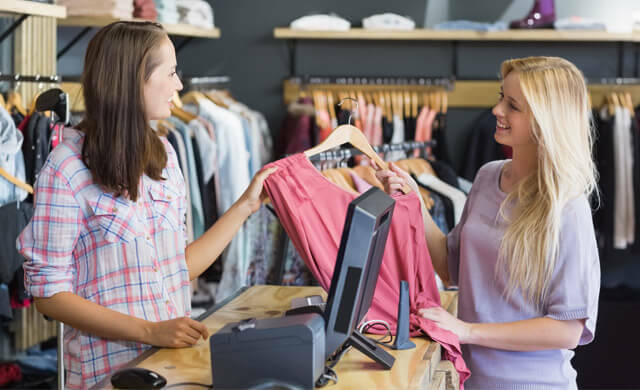 So much more than a cash register, a point of sale (POS) system, or electronic point of sale system (EPOS), can really save your business bags of time and money. 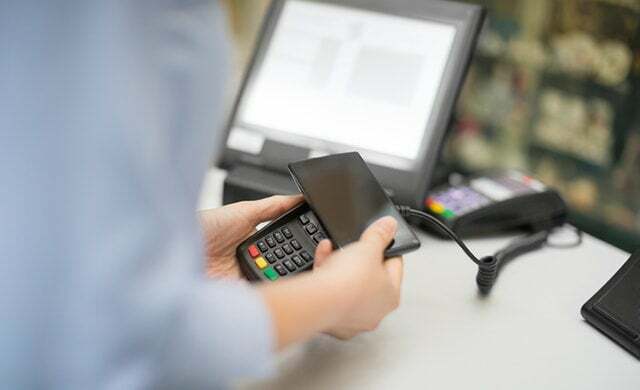 Whilst EPOS system prices will usually include the ‘cash register’ in its modern form, it will also likely include a touchscreen monitor and computer (or mobile tablet or device), the receipt printer, a barcode scanner, and potentially a debit and credit card reader. When looking at the cost of POS software, you usually find it is together with the wider POS system, although it is possible to buy software alone. However, for the majority of business owners, it is not so much about the POS software cost, or the point of sale machine price, but more about how much does an all-encompassing point of sale system cost. POS systems are utilised by a wide range of businesses, but most notably in retail, restaurants, and hospitality. They tend to be very far reaching in their capability – so much more than the traditional cash register. They enable much more than basic payment facilitation and financial processing. A POS system can be used to analyse and manage the overall business. For example: inventory management, stock control, staff hours, and more, can all be managed with an effective POS system. Furthermore, they can be used for targeting advertising and managing loyalty schemes. The variety of POS system functions combined with the time and money it can save a business means that return on investment for a POS system is high, and the risk factors low. POS system costs can be broken down into two areas: the hardware and software. The way you pay for these is determined by the pricing model that you choose. You will either pay for the system outright or pay monthly. We have explored all pricing options in detail below. POS hardware is the machine you use at the point of sale, like, for example, your till. When considering your POS system budget, this will be one of your prime considerations. POS hardware generally includes the cash drawer, terminal, barcode scanner, receipt printer, debit and credit card machines and a touch screen monitor or mobile POS device. Further hardware might include integrated weighing scales or a keyboard. When considering POS (point of sale) system prices, you need to consider which hardware components are included. It is possible to buy complete all-in-one bundles that include everything you are likely to need, in a plug-and-go fashion. Other packages work on a selection basis, whereby you choose the specific hardware components you need. 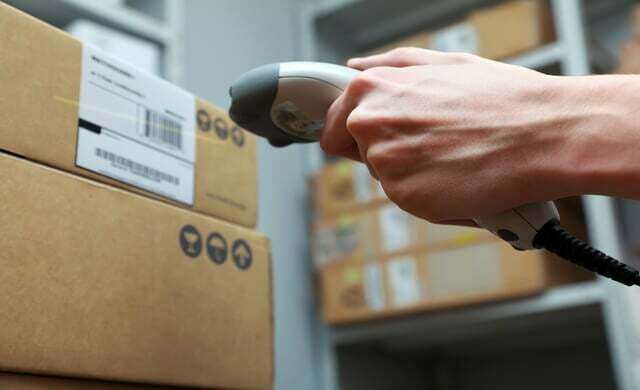 A barcode scanner may cost you from £75 for a very basic model to around £400 for the top of the range. Secure cash drawers have a similar cost range. Credit card readers can be bought for under £80, for more information on card readers and merchant accounts specifically, take a look at our page detailing the UK’s best merchant service providers on the market today. Receipt printers tend to be in the region of £150 to £400. The real costs associated with POS systems come in the form of the computing hardware required. These costs will depend on how many devices you need, and the type of device chosen. Usually, it is cheaper to buy the hardware and software as a complete package. If you purchase your POS system outright, most POS system prices take account of the hardware and software together for maximum savings. For more detailed information on the top POS providers, take a look at our page on Epos Now, or have a read of why Nobly POS is great for small hospitality businesses. The POS software is where you can really make a difference to your profit margins and boost your business. A good POS software will be specifically chosen for the nature of your business, and potentially be customisable to your needs. It is possible to download free POS software. However, a word of warning: this software is highly limited and will minimise your return on investment for your hardware. The software can have a huge impact on the system’s overall efficiency. Software for your POS system is available from £30 for basic software, through to just over £800 for one of the best and most customisable on the market. Below are some examples of specific system costs to give a little context to the prices you can expect to encounter when looking to purchase or rent a POS system. The EPOS Direct ED – 630 is available either to buy outright for £1499, or to rent for £19.99 per week. This is a complete package that enables you to get up and running quickly. Included is a 15” touch screen, thermal receipt printer and cash drawer. Importantly you get the Emperium EPOS Software which is considered one of the best available. This is a plug-and-play system, so it is ideal for businesses that want to get up and running quickly. The Emperium EPOS Software, the same software as mentioned in the all-in-one example, is available for a range of different business types and can generally be bought outright for a POS software cost of £358 including VAT, or for £35 per month. This is a highly popular POS software system that is reliable and customisable. Emperium facilitates stock management, customer demand management, promotional administration and staff management. The reporting functionality allows you to measure productivity, identify key product lines, and facilitate multi-channel retailing. When looking to purchase a POS system you are able to choose between two options: pay outright or pay monthly. There are both advantages and disadvantages for both. How much does it cost to buy a POS system outright? When you choose to buy a POS system outright then a very basic and simple system will cost you upwards of £300. Customisable options are available with the best hardware, and excellent software, for around £1,500. These prices are for one unit only. The more you need, the higher the costs, but you may benefit from economies of scale. The main advantage of buying outright is exactly that: you own the POS system. You have no additional monthly outlays and you have complete control over the system. However, you may not benefit from software upgrades which you could receive with a pay-monthly plan. As a result, your POS system may become outdated which could require you to invest more money in a more up-to-date system. How much does it cost to pay for a POS system monthly? Pay monthly options are most noticeable among newly starting businesses. Avoiding the large initial costs and allowing for a speedy, low-cost starting point. Pay monthly options not only free up vital capital but also bring the added benefit of customer support. This will include installation, configuration and training – perfect for a new business. Additionally, some providers will provide system and software upgrades without large outlays, meaning your POS system will consistently keep up with technology advancements. It must be noted that you will often pay more for your POS system on a pay monthly basis compared to paying outright, but the advantages associated with pay monthly schemes can outweigh the additional costs. 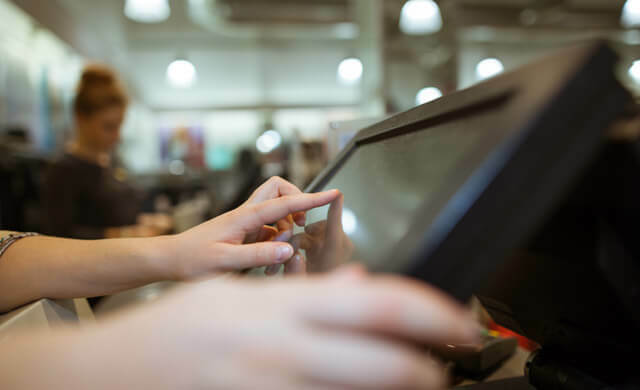 The hidden costs in POS systems usually come down to two factors: knowing what you need in the first place and thus choosing accordingly, and cheap systems bringing a lack of features. Hidden hardware costs tend to come when a business doesn’t realise the full practicalities of how the POS will work in their particular case. We would recommend asking for a demo of your new POS system, as this will mean that you know how to make the most out of your new system and highlight any issues early on. You might find that you need more scanners, or a keyboard, for example. Then there are the hidden costs that usually appear with cheaper systems. Generally speaking, cheaper systems are less likely to include everything you will need from the POS. Lower-budget systems will certainly be more limited in terms of features. This is particularly important because, to get the most from a POS system, you need to be able to customise elements of it to fully work for your business. For example, a bespoke gin bar would need lots of information on its till face, including type of gin sold, the specific tonic it’s paired with, any garnishes and final cost. This makes it easy for staff to select the specific product and the quantity sold. The POS system can then use this metric to calculate how much gin should be left in the bottle and how many tonics are left in the fridge. Then, some systems can even automatically place an order with the supplier when stocks are running low. However, this doesn’t mean that you should feel cornered by opting for a more expensive ‘bundle’ or software option. There are affordable packages out there which do represent a significant and worthwhile return on investment once you realise the benefits. Furthermore, being able to customise the software can bring reduced labour costs, reduced wastage, and healthier profit margins. Often overlooked, analytical, stock control and inventory management tools are also extremely useful, especially in regards to return on investment and making POS systems quickly ‘pay for themselves’. Is a POS system a worthy investment for a small business? For small businesses and startups it can be tough knowing where best to apportion your capital, or what to commit to in terms of overheads. 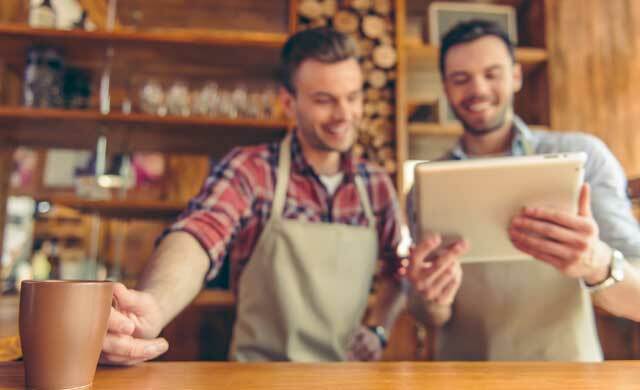 Small business POS systems represent a good return on investment because of how they can maximise growth, and create efficiencies overall. Once a business has invested in an EPOS system they are unlikely to turn back, with the money made often being far more than the money invested in the first place. However, due to the range of POS systems out there, it’s worth taking the time to consider which services you’ll need your system to provide to best-serve your business. Will you be using you POS system for finances alone, or are you looking for stock management, staff planning and service efficiency metrics? The complexity of the system, and whether you actually use it to its full potential, will impact its cost and value, so you should have a clear idea of what you want and need before you invest to ensure maximum value for money. The information on this page should help you to understand some of the prices associated with modern POS systems. To find out more about how much you will need to spend, you should complete the form at the top of the page. For a more detailed account of the different systems out there, read the Startups pages on Epos Now and why Nobly POS is great for small hospitality businesses. Get EPOS System Quotes Tailored For You. Start Here & Save Up To 40%. Do you already have an EPOS system...? It depends if you’re including processing or not. Legacy systems are more expensive, especially when you consider that they charge for basic features, like being able to see your data outside the back office in your business.